Soon, corporate training evolution will take on a progressive journey through new automation, inventions, and systems, following the ongoing quest to be leading in innovation. In a world of training that continuously changes, trainer and learners won’t have any other choice but to move out of their learning comfort zone to the next generation learning zone. The future of training is abundantly clear that the learning technological revolution will profoundly change how we learn, the time it will take, and the results it will make. This technology has been around for some time but it is new to organizations. This powerful tool can advance any educational system by cutting costs and expanding accessibility. Training becomes available at any time from any place, administrators’ (or Trainers) efficacy is boosted, and learners can share ideas, infrastructure, and tools with the cloud. 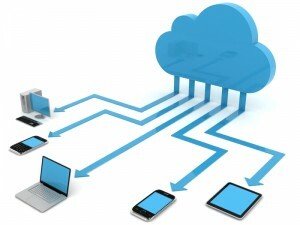 I am currently completing my Masters at LaSalle University all via the cloud and it works well. Need a good learning strategy? Remove all the walls for a start. The Open Source LMS model continues to grow and dominate the eLearning industry. Open source systems are giving companies the chance to extend and customize their LMS without worrying for proprietary barriers, better flexibility, and unlimited customization. 3. Mobile, on the go. “Hey, I don’t have a real office” learning. OK, here is the twist… it is still a “me too” solution industry. Try to standardize on something that won’t cause headaches…(Flash friendly). 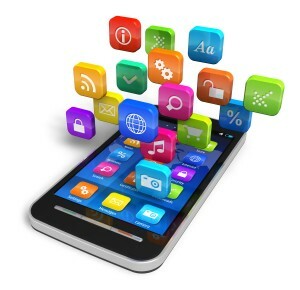 Mobile functionality started using HTML5 to make their websites mobile accessible – and now eLearning, but I am not so sure that is our final word. More and more studies show corporations needing a good mobile strategy, and most are learning the hard way it is not device agnostic. That being said, look for native apps, and not just browser apps, in an effort to increase the opportunity for mobile learning for all learners. 4. Rapid learning is NOT dead… it just re-invented itself. Talk about a word of continuous change? The eLearning authoring tools available today aren’t the ones of last year. Rapid development eLearning, in my opinion, is just on the cusp of the upward curve for the dominant way to learn. Have you seen all the new changes in the plug in wrapper’s development capabilities? POW! This hit corporations -hard. Every last client I talk with is running as fast as they can to VILT – BLINDFOLDED. This is the wave of the future for training, today. The biggest challenges are train the trainer and content conversion. That being said, before you dive, check how deep the water is. Start slow, with pilot programs; work with trusted organizations that have producers, facilitators, and know how to convert content for the VILT environment. You will be glad you did. 6. How can you train if you don’t know where you are training from? Talent Management. I ask this all the time and get the same look. “Content is king, right?” Wrong! Its only king when learners can apply it, in other words, learn it. So you should assess the talent you have before creating the content you need. Talent management is crucial for successful organizational development and identifies the strengths and weaknesses of employees. With that knowledge and your learning goals in mind; effective eLearning courses, training material, and even external tailor-made content will advance the learner’s job-related skills based on your current talent management info. How Intriguing Is Your Training To Your Learners?